“Foremost Custer living historian” to ride again at the 2017 Real Bird Little Bighorn Reenactment. Steve Alexander as George Armstrong Custer. Photo by Jay Dickman, courtesy of Steve Alexander. Later this month history will repeat itself when George Armstrong Custer—er, “foremost Custer living historian” Steve Alexander—leads the 7th Cavalry into battle at the Real Bird Battle of the Little Bighorn reenactment. 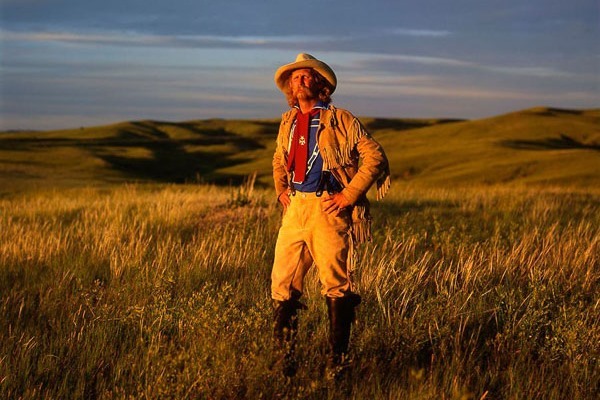 Leading the 7th Cavalry onto the battlefield is an annual ritual for Alexander, who, since 1986, has participated in dozens of Custer’s Last Stand reenactments in Montana. When Failure last talked to Alexander a decade ago, he said, “I would like to think I could go on [portraying Custer] for another ten years,” fretting that he might soon be replaced by a younger version of himself. As it turns out, Alexander need not have worried; of course, it helps that each June “he’s 36-years-old again,” referencing George Custer’s age at the time of his death in 1876. Yet, Alexander still claims he is “dreading the day” when he is replaced by a younger George, even if there isn’t much money to be made portraying Custer (who famously finished last in his class at West Point in 1861 before embarking on his military career). “If they give me a quarter and a cucumber I am lucky to get that,” quips Alexander about appearance fees. Nor does he receive residuals or royalties from the many films and documentaries in which he has appeared. Still, “it’s nice to turn on the TV and see myself touted as ‘The General Custer,’” he admits. In the following conversation with Alexander, I asked him to reflect on a career that now spans more than thirty years, almost as long as the real Custer walked the earth. What have you learned after so many appearances on the battlefield, and have you ever come close to winning the fight at the Little Bighorn? There have been only two years in which we came close to winning. Every year we try to win, but history has a way of repeating itself. One year we were out in the rain and the Indians were late. There were spectators sitting in the stands with umbrellas and wearing garbage bags and I thought, ‘These people are crazier Custer fans than I am.’ Who would sit through a torrential rain storm to watch the battle, when you pretty much know how it’s going to end? I decided at that moment that if the Indians didn’t show up I was going to go to the local newspaper and get a story that the Cavalry had won by default. But at two minutes to two ’o clock, the Indians came ripping in on their horses with their war paint streaked and we fought in a torrential downpour. Unfortunately, the battle turned out the same way it always does. Another year we had the 82nd Airborne parachute in, change into wool uniforms, and they rode into battle with us. We had such a strong skirmish line that the Indians couldn’t get to us and finally withdrew. We stood there confused until one of the warriors rode up on the bank of the river and hollered, “Hey you guys, you’re all dead!” We dropped like dominoes. But you could argue that we won, because they never got through. What are some of the worst mishaps you’ve seen happen on the battlefield? I’ve been involved in a few. One year I had a fairly large Indian warrior who came up and drove me into the ground and broke three of my ribs. We have also had participants get injured on horses because for some reason the horses don’t read the same script that we read. There has never been a Christopher Reeve-type accident but the potential is there. We take precautions and even though it’s a reenactment, it’s like running with the bulls; when you have animals involved you just never know. What advice do you have for someone interested in participating in the Little Bighorn reenactment? Please come out and talk to me so you can experience as close to actual history as possible. A lot of people read books about the Battle of the Little Bighorn, but until you’re at Ground Zero, so to speak, and get that rush, it’s hard to understand the terror, the exhilaration, and the overall feeling of what those soldiers must have gone through. They were just out there doing their duty—doing what the government paid them seventeen dollars a month to do. The Monday Morning Quarterbacks that want to judge the soldiers really need to go out there and stand on that battlefield and consider what it must have felt like to be among those Indian warriors who were hell bent on taking scalps. Why do you think people are drawn to participating in reenactments like the one at the Little Bighorn? I think there’s still a certain amount of mystery that is involved, even though we have forensic and archeological evidence of how the battle went down. I saw the Tom Hanks movie Sully, where investigators claimed that Captain Sullenberger should have done this or that. But they didn’t take the human factor into account. Instead of lauding Sully for saving people’s lives, they were trying to crucify him for not making it back to LaGuardia Airport. But the human factor can’t readily be replicated on a computer. People still want to re-live what happened at Custer’s Last Stand and try to figure it out. But I don’t know we will ever have conclusive answers. Rubber Stamp—How Charles Goodyear became the first name in rubber. 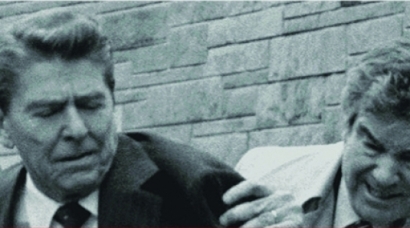 Rawhide Down—Del Quentin Wilber's minute-by-minute account of the near assassination of Ronald Reagan. Chevrolet Corvair—Failure at any speed? 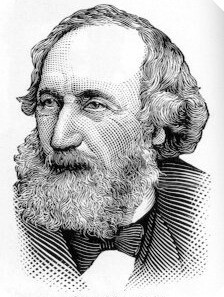 Cable Ready—Cyrus Field and the epic struggle to lay the first transatlantic cable.